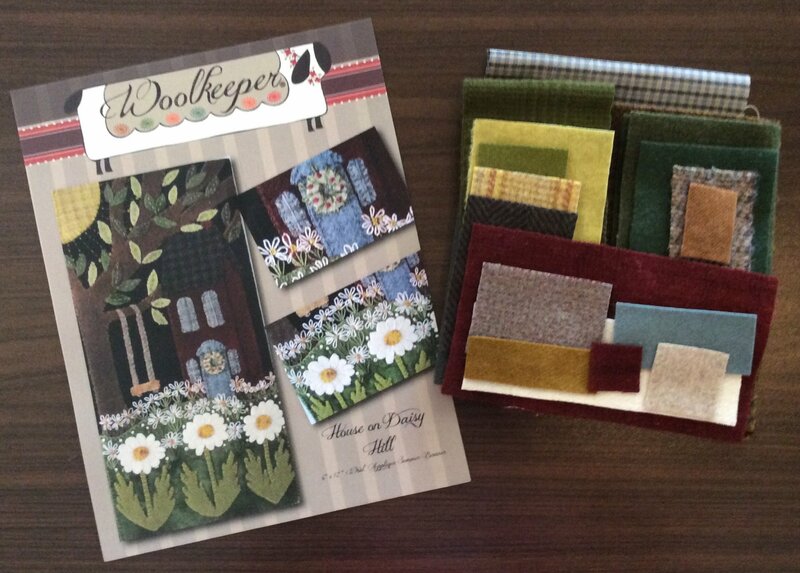 Woolkeeper House on Daisy Hill kitted with wool in yellow, blue, red, green and browns. Background fabric is a plaid homespun. Finished size 6"x12"